A weak man knows the value of strength, the value of power. 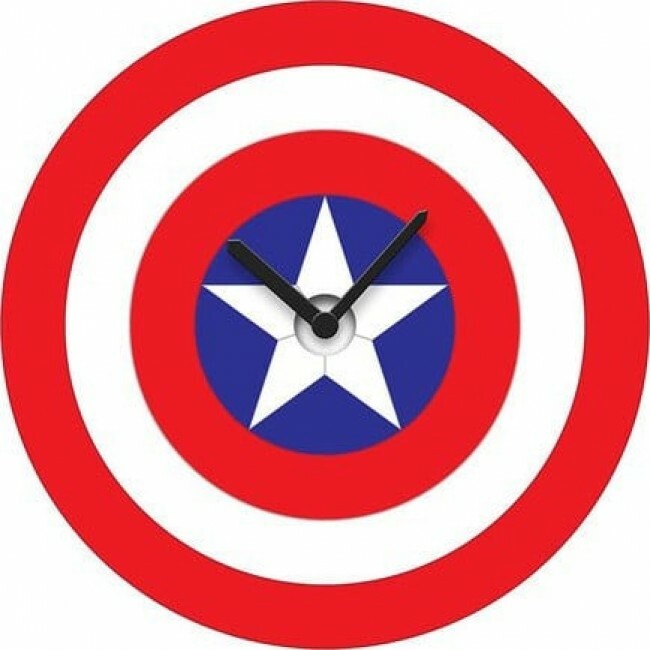 Show your strength and get the Marvel Comics Captain America Shield Wobble Clock. Measures 10" in diameter, clock features a wobbly motion swinging back and forth while the time stay stationary. Requires 2 AA batteries (not included).